We are a team of young, creative and passionate wedding planners striving towards making your dream wedding extremely perfect and stress-free. The Weddingwale work as professionals and gel like a family which gets us to know the client better and deliver exactly what they want! The Weddingwale is a wedding planner based out of Goregaon East, Mumbai . 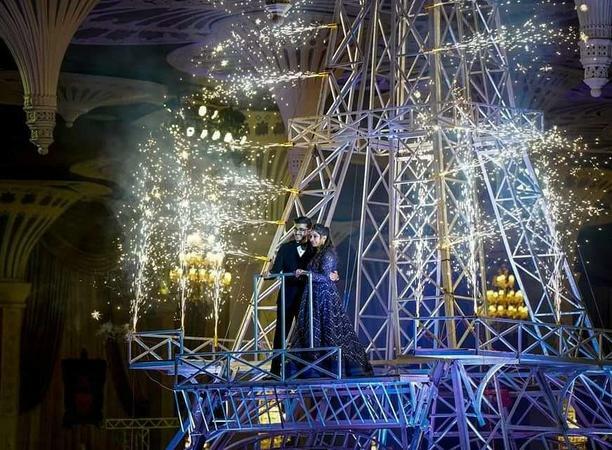 The Weddingwale's telephone number is 76-66-77-88-99, Facebook page is The Weddingwale and address is Mumbai. In terms of pricing The Weddingwale offers various packages starting at Rs 400000/-. There are 0 albums here at Weddingz -- suggest you have a look. Call weddingz.in to book The Weddingwale at guaranteed prices and with peace of mind.